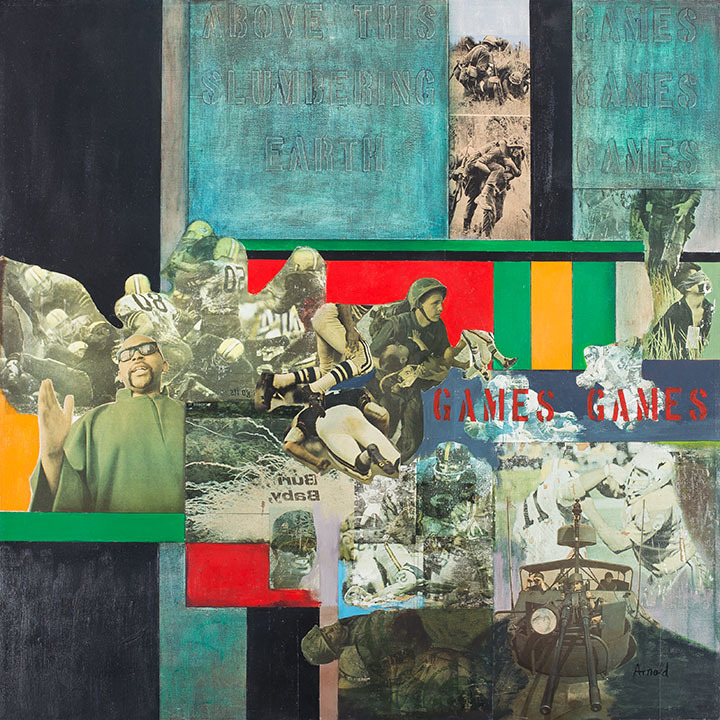 An artist and educator based in Chicago, Ralph Arnold worked in collage, painting, and text with a dedication to addressing issues of race, gender, and identity. 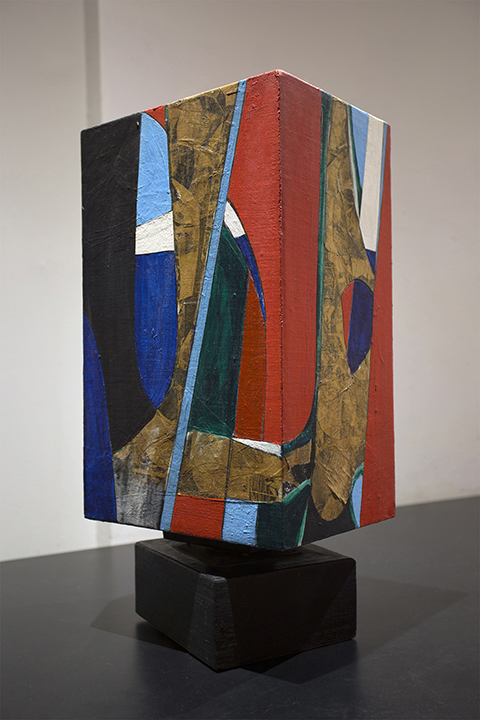 He drew upon his own multifaceted identity to fuel and inform his extraordinary creative output, holding an ambivalent positioning between figuration and abstraction—and occupying both spaces with his hybridized practice. Arnold participated in some of the most provocative exhibitions during the 1960s and 1970s, yet by the mid-1980s he increasingly focused on his teaching and service to the art community. Ralph Arnold attended the University of Illinois at Urbana-Champaign (1946-47; 1950-51) until he was drafted to serve in the Korean War. He served in the US Army until 1953 and returned to UIC from 1953-54 before transferring to Roosevelt University, where he completed his bachelors in speech-theater arts (1955). He taught for many decades at various institutions, including the Hyde Park Art Center, Chicago; Rockford College, Rockford, IL; Barat College, Lake Forest IL; and finally, at Loyola University Chicago where he remained for 28 years, serving as the chair of the Department of Art from 1977-78. While teaching at Loyola, he also completed his MFA at the School of the Art Institute of Chicago (1976). 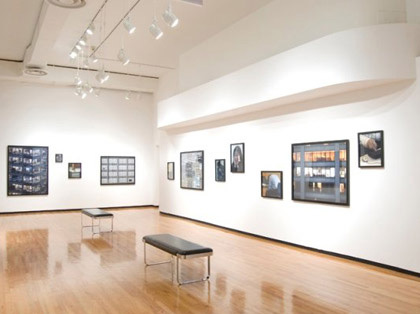 Arnold has been included in exhibitions at the South Side Community Arts Center, Chicago (1973); Northwestern University, Evanston, IL (1975); the Museum of Contemporary Art, Chicago (1968), the Museum of Philadelphia, PA (1970), and the Whitney Museum of American Art, NY (1971), among others, though his inclusion in exhibitions stopped after 1975. Curated by Columbia College Chicago Assistant Professor, Greg Foster-Rice, the 2018 MoCP exhibition and catalog, "The Many Hats of Ralph Arnold," wass the most comprehensive exhibition and compilation of Arnold’s life and work to date.